Interpretation, Episode Twenty-three in both video and podcast versions. The topic is Revelation, Chapter 18, the Fall of Babylon. 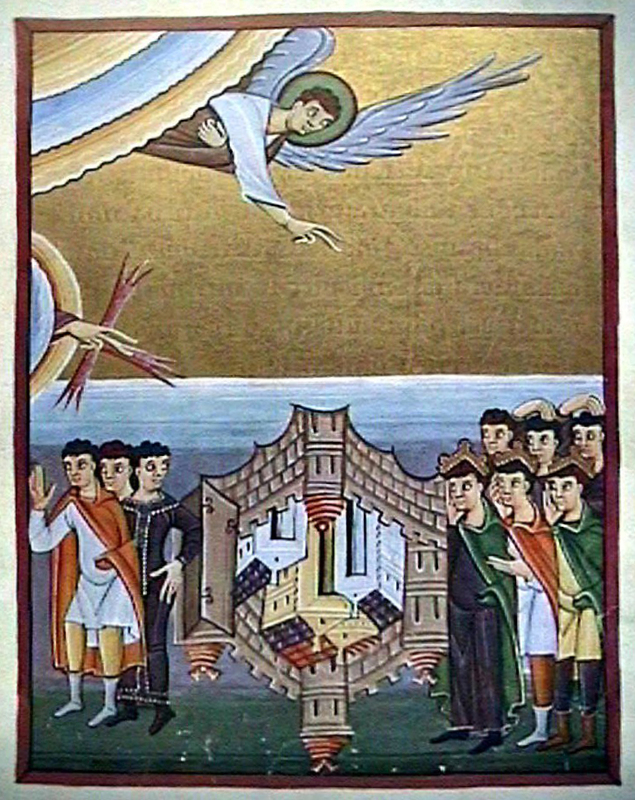 Illustrations from the Bamberg Apocalypse include Folio 45, the Fall of Babylon and Folio 46, Angel with Millstone. Watch the Video on You Tube Or Listen to the Podcast version. Chapter 18 is the second of two chapters in Act III of the Divine Drama that is the second half of Revelation. 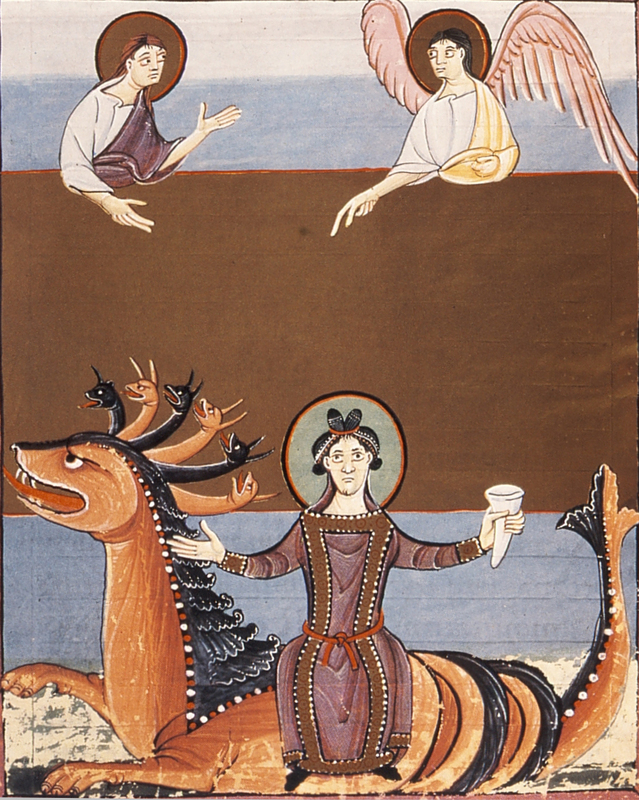 The chapter includes a litany of condemnation and graphic depiction of the manner and mode of punishment for the spiritual Babylon (Rome), including punishment doubled consistent with her transgression. I explain the Greek meaning of the word from which “fornication” is derived and point out that it means not only harlotry but also idolatry. I have now completed all the scripts and slides for the series and will be introducing them, one per week, until the final episode, Episode Twenty-eight, is uploaded. I have started work on the book version, which I hope will be ready for Easter 2016 A.D.
Quite a busy week, starting with a heart catheterization on Tuesday. I am thankful and glad to report that the test found no new blockages in my heart and no obstruction in the stent which was installed in 2013. The most convincing theory of the moment is that my symptoms were the result of stress, lack of exercise and lack of sleep, etc. Consequently, lifestyle changes have already been made, including regular exercise, including at least 30 minutes of walking, and regular massages at my chiropractor’s office. There will be no new episodes in our Bible Study series on Revelation this week. I hope to complete work on Episode 23, focused on Revelation 18, before the end of next week. All the slides are done, as is the sound recording. I have to coordinate the pictures and sound, tedious, time-consuming work for which had neither time nor energy for this week! Thanks for your patience. I am presently at work on the final Chapter of Revelation and hope to have all the episodes completed before the middle of October. 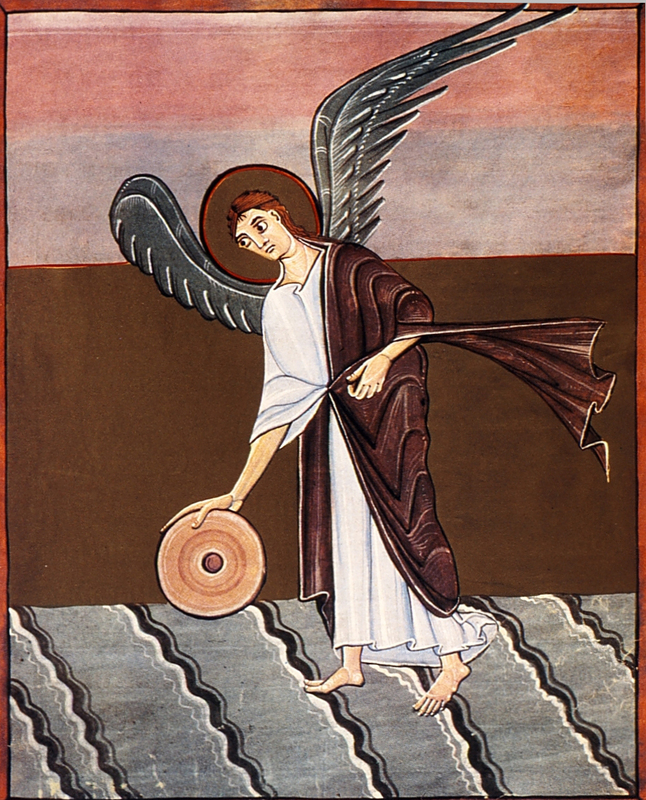 I did complete and upload to the AIC Web Site and Facebook my Podcast Homily for Sixteenth Sunday After Trinity. 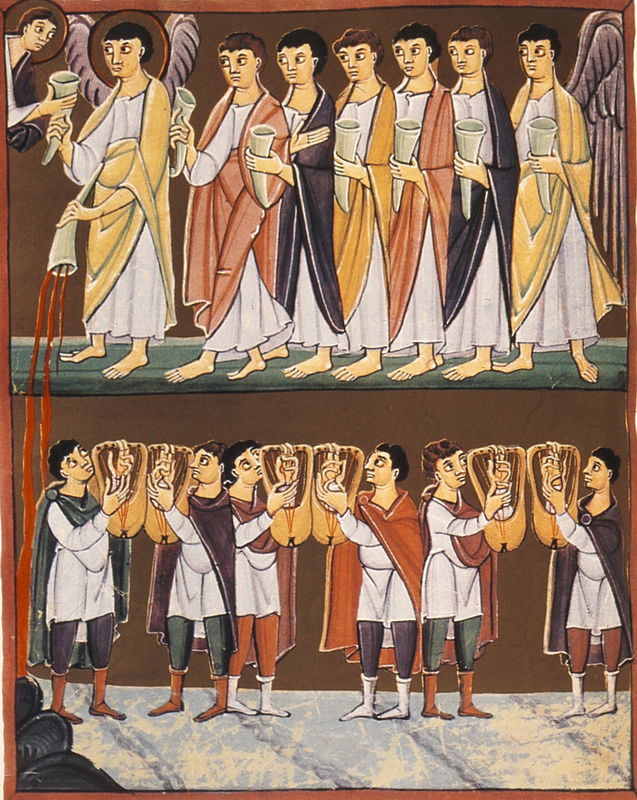 The Gospel reading covers the Raising of the Son of the Widow of Nain (Luke 7:11-17). 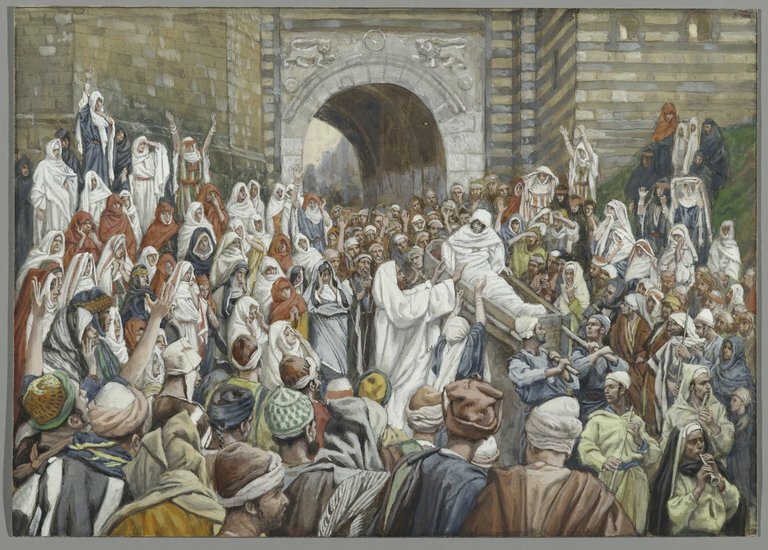 The only illustration I know of is the lovely watercolor from the Life of Christ series by James Tissot at the Brooklyn Museum.